Early fall is here, and it’s the perfect time to take a city trip. The sun isn’t so hot, the storms aren’t so intense, and the brilliance of autumn leaves creates a perfect backdrop for walking, sightseeing, bar/restaurant hopping, and generally drinking in the atmosphere of an urban landscape. Budget airline carriers have made city trips ever more accessible, but getting there’s only half the battle – if you want to have a truly successful city trip you’ve got to travel smart. The city’s all about form following function in the most elegant fashion possible: think products which are chic, but practical, useful and highly versatile, and apps which will streamline your trip and minimize stress – so that you can focus on having an amazing time. 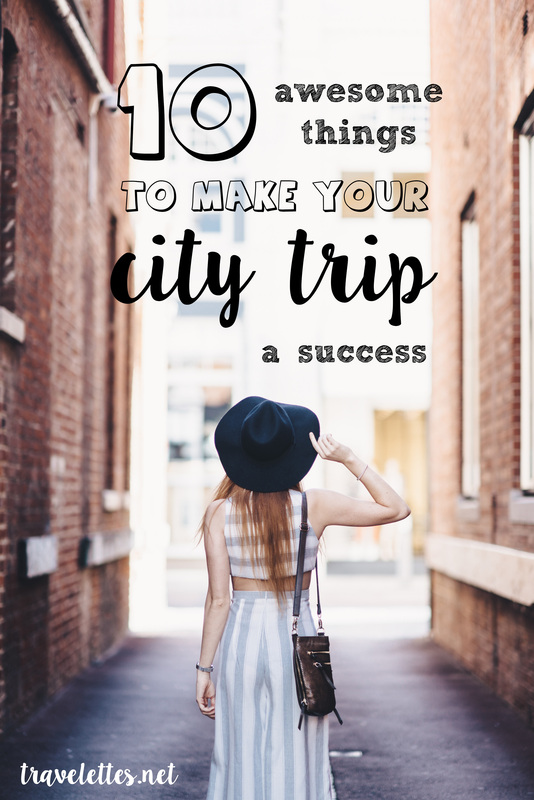 No city trip would be perfect without some great recommendations and tips on what to see, where to eat and how to find hidden gems. That’s where Localini can help you, a new and free app for discovering the latest hot spots and sharing your own favorites. 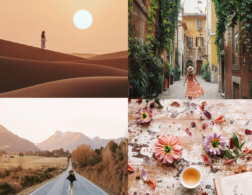 In a similar vein to Instagram, you can follow friends as well as brands (think Refinery29, New York Times and TimeOut) on Localini and check out the best they have to offer for your city trip. Not sure where to grab a drink on your girls’ weekend in NYC? Check out Travelettes’ list ’10 Cool Hostels in Europe.” Do you have a hard time remembering all of the restaurants you’ve been meaning to try? Create a list to capture them all in one spot! 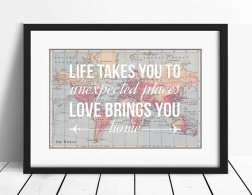 Trying to figure out where to go on your next adventure? Explore lists of destination highlights from fellow travelers to get inspired! 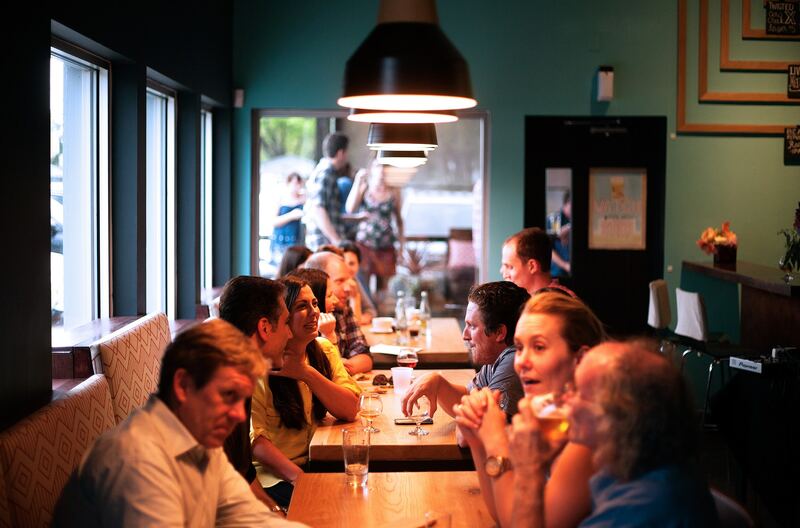 Whether you’re looking for a restaurant, the best places for a picnic, “best of’s” or “off the beaten path” – this app lets you find the right spot. So much handier than a regular travel guide and easier to sort through than all of those blog posts you have bookmarked on your computer. And if you happen to be the go-to person for friends seeking recommendations in any given place – voila, just simply point them to the lists you’ve created on Localini. If they find something new and exciting you may like in return, you can even invite them to add to your list. After all, sharing is caring – right? Download the app for Apple here and for Android here. I have long been searching for a camera bag, something that wasn’t made out of black nylon but was stylish and functional; something that would protect my camera on adventures and look good during a day out in the city. Finally, I found the one – and only thanks to some travel blogger friends who introduced me to the Claremont from Lo & Sons. Luckily it turns out that I wasn’t the only one who wasn’t happy with the choices for camera bags and travel luggage on the market. Owner Helen Lo had the same issues, describing bags she found as either too heavy, too frumpy, too techy, overpriced or overly designed (how about a camera bag with a pleather bow?!). Already in her mid-sixties, she is a Travelette to our liking because after abandoning yet another bag, she finally took her sons’ advice and started to design her own line. Together with them, she founded Lo & Sons with a range of bags to travel light and combining functionality and style. 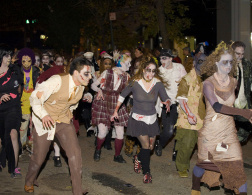 Their motto – less fumbling, more globetrotting. 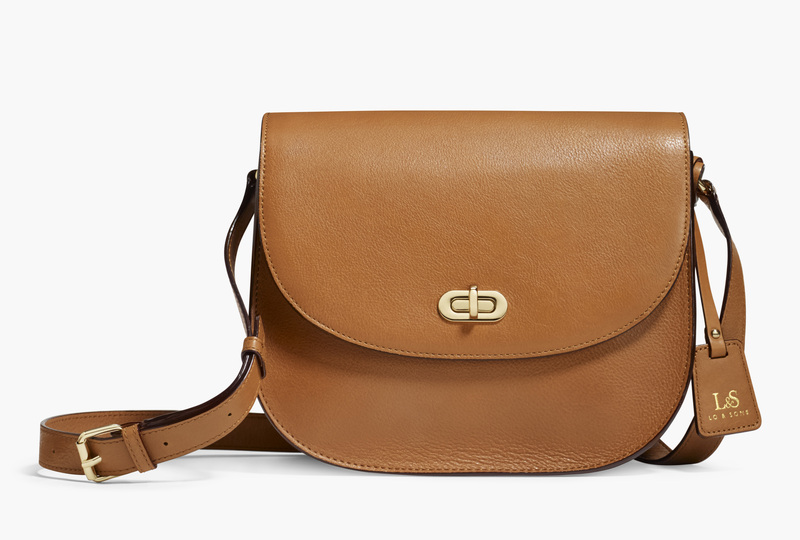 Their masterpiece, the Claremont Camera Bag, is exactly that. Inside padding and outside chic with enough space for your DSLR camera (check different sizes here), an extra lens, and designated SD card pockets. And if you are anything like us you can also fit your wallet, a charger, a passport and some lip liner! All in all, the perfect bag for a city trip for you and your camera. Unless you’ve been living under a rock this year, you may have noticed that the humble fanny pack – now sensibly rebranded as a much sexier sounding “hip pack” – is in. Personally I’ve always loved them for traveling as they’re great for keeping all of your valuables within easy reach and are somewhat resistant to pickpocketing, given that they sit so close to the body and well within view of the wearer. However it’s nice now that such a practical item is also au courant, and ultra-hip accessories brand Herschel has created one that’s perfect for any Travelette. 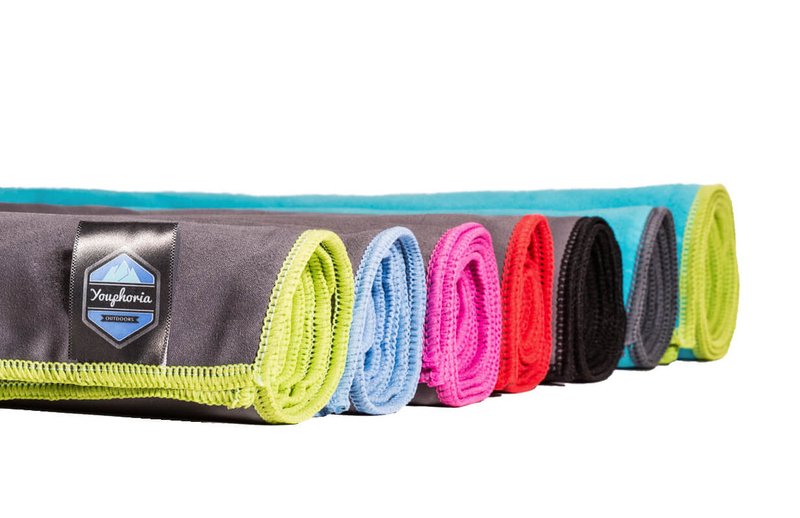 The Tour Hip Pack is a neat little waist bag that’s specially designed for exploration, whether you’re in the wilderness or the urban jungle. 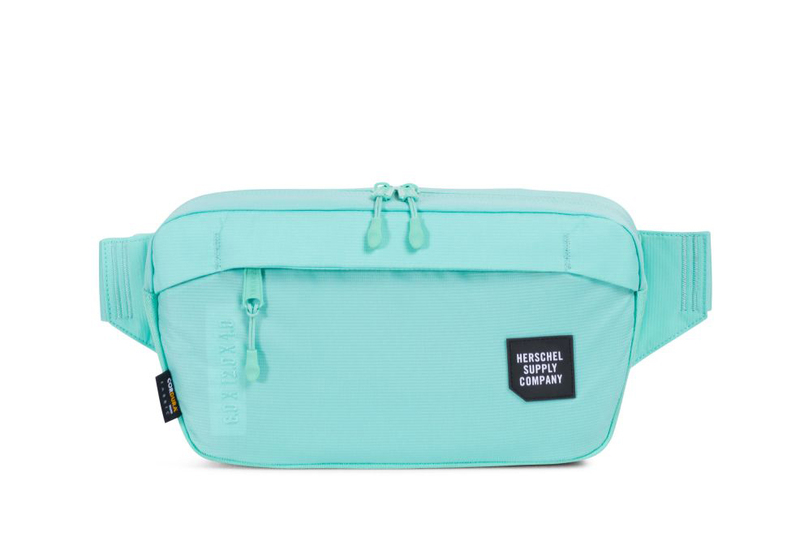 Featuring lightweight, water-resistant fabric, a waterproof main pocket and a key clip, it’s available in Small or Medium and comes in a variety of cool colors – my favorite is the eye-catching mint green. Stash your map, shades, hotel keys, passport, wallet and camera in here and head out for a day of sightseeing, safe in the knowledge that all your gear will be easily accessible and safe from getting wet or stolen. Even though summer’s drawing to a close, it’s still a bad idea to skimp on sun protection when going on a city trip – for reasons of which we’re now all well aware. Picking a decent sunscreen can be tricky though; a lot are loaded with chemicals or come with a cloying, artificial smell that will follow you around all day. 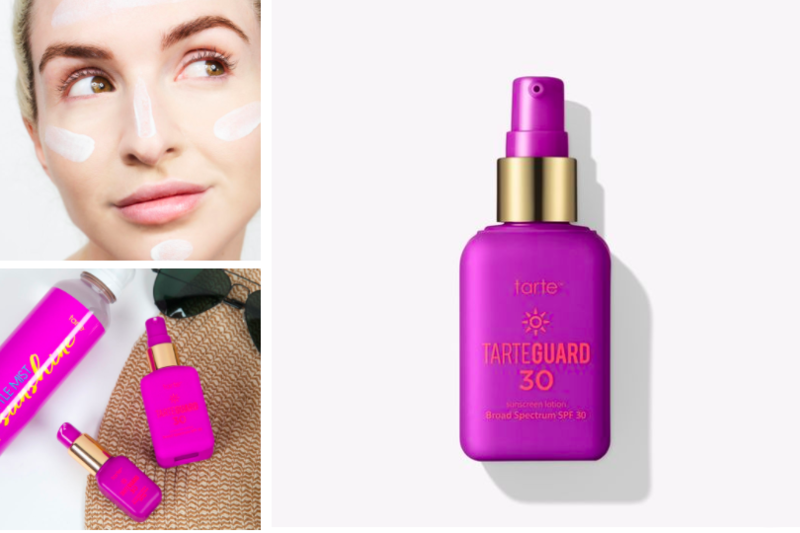 Tarte is already such a cool little cosmetics brand, with loads of gorgeous products and sparkling vegan credentials, so it seems natural to recommend their sunscreen – especially as it comes in a handy travel size that’s easy on the pocket at $7, and will fit neatly into your carry-on luggage. With mineral, rather than chemical active ingredients, it’s dermatologically tested, cruelty free, packed with antioxidants like red algae, honeysuckle and maracuja extract, and comes in a non-sticky formulation that just melts into skin can be used as moisturizer. It comes in a cute little bottle and certainly feels a lot more glam to use than most of the high street formulations we’re all familiar with – think more high-end skincare than basic sunblock. With an SPF of 30, it’s even recommended by the Skin Cancer Foundation for daily use, and it’s hard to think of a better endorsement for a sunscreen than that! Speaking of sunshine, everybody knows that the key to looking chic in any city is a pair of perfectly formed shades. A Travelette wants something which won’t compromise on eye protection and will be durable enough for all sorts of activities, but will also be, well, easy on the eye. Designed by a cool little start-up based in San Francisco, Sunski shades fulfil all three requirements. They’re specially designed to be tough and durable with polycarbonate frames and toughened lenses, but come with a lifetime warranty in case they get broken during all that wandering you’re going to do. Their lenses are polarized to give you great protection from all those nasty UV rays, and they come in a dazzling array of colors and styles. 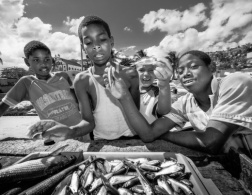 As a bonus for ethically-minded shoppers, Sunski are members of a project called 1% for the Planet, which means they give 1% of their annual revenue to a variety of different NGOs who undertake conservation and development projects, and they’re also involved in lots of collaborations and initiatives with the same end in mind – protecting our beloved home, the earth. And the best part? The whole range costs under $60, so you can look like a model of urban cool without the hefty price tag. Although I LOVE to send postcards, I almost never actually do it. It’s such a pain to first select the postcards, then write the damn things in some bar with a borrowed biro, and then finally to find some stamps and locate a postbox. Even if you do somehow manage to do all of the above, the chances are that international postal services will be so slow that you’ll arrive home well before your cards do, which sort of defeats the whole purpose a bit. So I’ve really enjoyed discovering postcard apps like Touchnote, which do all the hard work for you and enable you to create personalized postcards using your own photos taken with your smartphone. 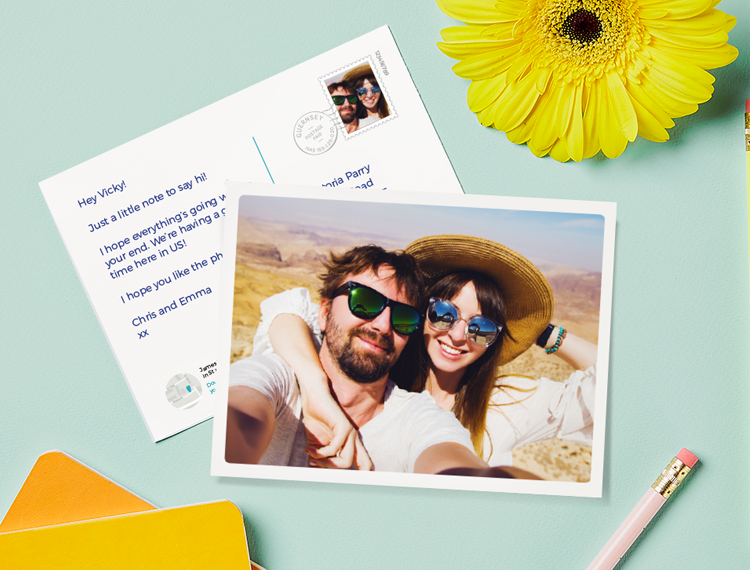 All you do is choose a photo (or photos) from your gallery, design your postcard’s layout, type in a message, enter the name and address of the recipient, and the peeps at Touchnote will print and send the card for you! It’s revolutionized my postcard game and means I can share what I’m up to with friends and family in a thoughtful, tangible way that’s a million times more personal than just posting a holiday album on Facebook. Download it for Apple here and for Android here. 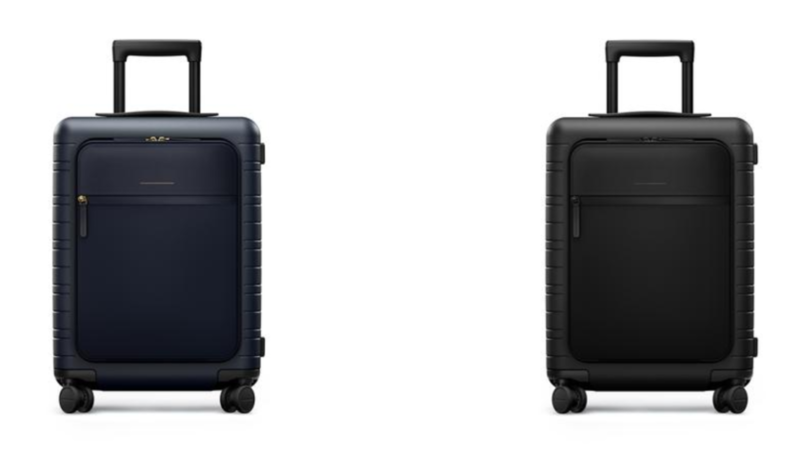 German start-up Horizn has added a real challenger to the game of smart luggage by introducing their sleek line of suitcases on the market. Premium polycarbonate meets Italian-handcrafted leather to ensure a look that is hard to be reckoned with. Add to this some very cool features such as 360° spinner wheels and a removable/ rechargeable 10,000 mAh inbuilt battery to keep your phone running for as long as you do. This rad travel accessory looks like a million bucks but actually starts at an affordable €159. For a stress-free trip, organization is key, and if that sort of stuff doesn’t come naturally to you (it doesn’t to me) then these mesh bags will do the trick nicely. MochiThings are an awesome little brand that bring Asian tidiness and efficiency to product design, creating items that are both insanely cute and seriously useful. Coming in four different sizes, these mesh bags are the perfect way to pack – put toiletries in the smallest, underwear in the medium, and tops and bottoms and outerwear in the largest two. As someone who tends to live out of a suitcase on city trips, often where I’ll be staying in an Airbnb with limited clothes-storage facilities, packing this way has revolutionized the experience for me. No more exploding luggage, clothes all over the floor as I root through my case to find clean underwear or a smart top. Everything is visible through the mesh, so I can see what I need, retrieve it and then zipper the bag back up and pop it back in the case. Mesh packing bags are also a great way to save space, and weighing in at just over 1 lb these will ensure that you can make the most of your luggage allowance! Okay, so maybe this isn’t the most glamorous item on the list, but it still deserves its spot – because this cool little towel is the ultimate in smart travel. 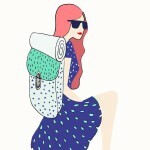 It’s usually a pretty good idea to travel with a towel anyway – you never know when you might need it at an under-equipped hotel, or to take to a pool, park or the beach, and it’s a great accessory to have if you’re a yoga or jogging fan who needs a fitness fix even when you’re on vacation. Made from a soft microfiber, Youphoria sport travel towels are super absorbent, dry quickly, and are five times more compact than a standard terry towel. They come in a variety of sizes and cute colors, and come in a neat little mesh bag for tidy storage. Once you start using one of these versatile, lightweight little gems on your travels, you won’t look back – that’s a promise! Comfortable and practical without compromising on effortless elegance, ballet flats are the perfect footwear for a city trip – and Rothy’s are the ultimate ballet flat. 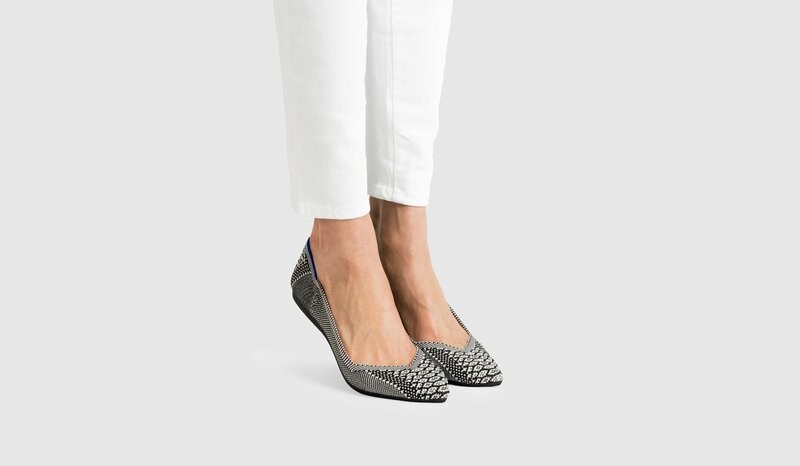 An eco-conscious Travelette’s dream, they’re made from carbon-free rubber, recyclable foam and discarded plastic bottles using a zero-waste production method and knitted into a breathable texture that wicks moisture away from the foot. Unlike leather flats, when they get dirty or, ahem, fragrant after several days’ walking, they can simply be chucked in the washing machine (cold water, gentle cycle) and will come out good as new. Rothy’s are available in two models, pointed and flat, and come in a huge variety of colors and patterns so that there’s something which will suit everyone. The knitted construction means that there aren’t any chunky seams to protrude and cause blisters and they’re nice and lightweight, meaning you’ll barely even notice you’re wearing shoes while you’re doing all that sightseeing and barhopping. And as if that weren’t enough to convince you, when your shoes reach the end of their life you can send them back to Rothy’s, who will diligently recycle the materials for you. Life has very few guilt-free pleasures, but these shoes appear to be one of them! What are your city trip essentials? Let us know in the comments, we’d love to hear about them! Disclaimer: this post was created in collaboration with some of the featured products. I always use mesh organisers when packing - even before they became a thing. They're great! The ones I buy are a lot cheaper, though, haha! These are such great tips! I am heading to San Francisco for the first time next week and will definitely checkout the Localini app for things to do! Never heard of the Localini app, will definetly try that out next time. Thanks for ur great tipps!